Former All Blacks rugby union star Jonah Lomu died earlier this afternoon in Auckland, New Zealand, according to former All Blacks team doctor John Mayhew. Lomu, who was 40, had suffered from kidney problems for decades, but was a big presence at the recently completed Rugby World Cup in England, working with sponsors. Lomu was first noticed by the rugby world in 1994, at the Hong Kong Sevens tournament. He was selected for the All Blacks squad for the 1995 Rugby World Cup, where it quickly became apparent that the 20-year-old winger was already one of the best players in the sport. In particular, his semifinal performance against England—where he scored four tries—was transcendent. Just a year later Lomu was diagnosed with nephrotic syndrome, a rare kidney disorder. He took a year off to recover, but came back in 1997 and was his usual dominant self. He scored seven tries in the 1999 Rugby World Cup as the All Blacks crashed out in the semifinals, raising his career World Cup tries to 15, a record only matched by South Africa’s Bryan Habana at the 2015 Rugby World Cup. In 2003 Lomu was forced onto dialysis because of the kidney problems, and in 2004 he underwent a transplant, with New Zealand radio presenter Grant Kereama donating his kidney. 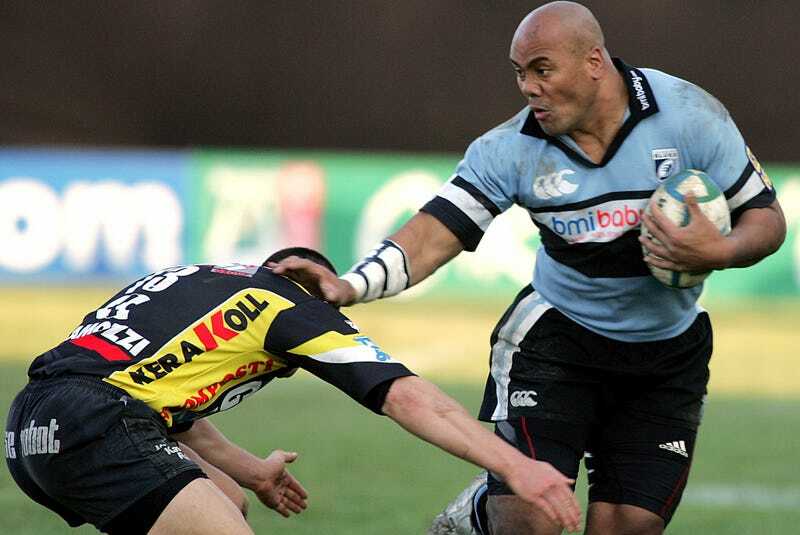 After his transplant Lomu underwent numerous moderately successful comeback attempts, playing for Cardiff Blues, North Harbour, and Marseille. But Lomu was never able to regain his prior form, and didn’t play for the All Blacks after 2002. Lomu was inducted into the International Rugby Hall of Fame in 2007.